The transportation company tracked the number of train tickets sold in the past 4 days.On which day did were the fewest train tickets sold? Find the perimeter of the rectangle whose length is 4 cm and breadth is 3 cm. Write the statement "Five less than y" as expression. 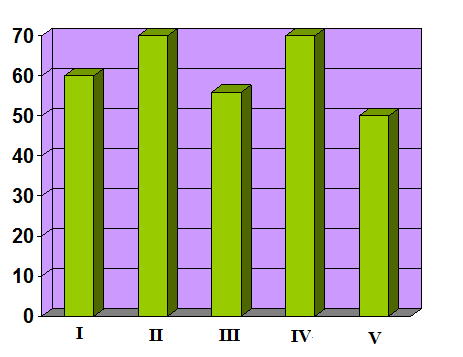 The marks obtained by a student in the five tests held during the quarterly examination are given in below chart. In which two tests the student got same marks? The volume of a water tank is 12 cu.m.Its length and breadth are 20m and 10 m. Find its height. If 4 aeroplanes carry 1240 passengers, how many passengers can be carried by 6 aeroplanes? What is the angle of straight angle? After having gone through the stuff given above, we hope that the students would have understood "5th grade worksheet"
Apart from the stuff given above, if you want to know more about "Grade 5 worksheet", please click here.